Got fashion Qs? We're here for you! 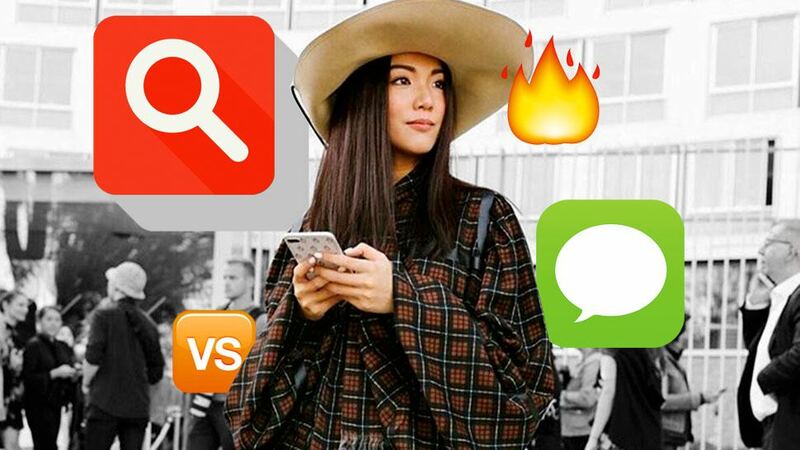 This time, allow us to be your personal Siri as we answer some fashion girl FAQs! Check them out below and don't forget to take notes. "I've been looking for functional yet stylish undergarments to keep warm in without layering five things over each other. Any recommendations?" A: Topshop is teaming up with fabric tech startup Loomia to develop a line of fashion-forward heated garments. "It makes the future of smart clothing seem more imminent and now than futuristic. I’m hoping we can make a beautiful and functional product that consumers will find [will] add value to their lives," Loomia founder, Madison Maxey, told Interlaced. The collab is expected to produce microchip-infused fabric that can regulate body temp so you can keep warm. Best of all, the clothes will stay true to Topshop's style aesthetic. "None of my friends are into fashion! How hard is it to find a fashion BFF?!" A: Meet Asteria. Asteria (getasteria.com) is an AI program that learns what you love based on your behavioral patterns, frequently searched topics, and common conversational interests between you and the device. (Think Tony Stark’s Jarvis!) More than just being a personal cyber assistant, Asteria wants to be your friend and will morph into the digital companion you teach her to be—even a fashion-savvy best friend. "My closet is a sea of whites, but I admit, it’s so hard to keep them spotless! Is there even a white shirt that could never get stained?" A: We would’ve said no a year ago, but Japanese brand CEAM has developed 100-percent cotton white shirts and dresses infused with nanotechnology that makes them water-, dust-, and stain-resistant. The brand’s No Collar Shirt (around P9710, ceam.jp) looks like a normal and airy buttondown, but any liquid substance thrown at it, be it honey or ketchup, simply slides off. You can thank us for the breezy laundry days later. "I'm a self-confessed hoarder and my condo has become so untidy! What are my other options since I can't hold a garage sale?" A: Why not do it online? We're not talking about setting up an IG shop. Apps like Shopee and Carousell can help you declutter and turn your preloved items into purchases. All you need to do is create an account and upload photos of the items you want to put on sale. Carousell's platform is entirely for second-hand merch, so you'll have serious buyers under that premise, while Shopee offers an in-app payment system and shipping services for easier and faster transactions. "I get anxious every time I’m away from my phone. I’m planning to get a smart watch to stay constantly connected, but is there one that doesn’t look too techie?" A: Michael Kors’ Access smart watch (around P17,490, Greenbelt 5) is your match. The stainless-steel luxury piece is more fashion wrist candy than gadgety while still having all the perks of a normal smart watch: You can read your messages, get social-media notifications and emails, and even track your fitness. Compatible for both iOS and Android, it’s also powered by Google Assistant, so you can set voice commands and tell your watch what to do touch-free. The Access also has interchangeable straps and multiple faces to choose from, making it entirely customizable. "Where can I find sculptural fine jewelry that won’t break the bank?" A: Singaporean jewelry brand Chainless Brain collaborated with 3-D Printing Studios on a capsule collection that was entirely 3-D-printed. Designer Alverina Wijaya revealed that not only does 3-D printing and modeling assure the consistency of precision for each design, it’s also a cheaper production investment, resulting in lower retail prices and the capacity to produce in bulk in a shorter time. "When I want something, I want it now. Is there an online shop that does same-day deliveries?" A: How about a delivery within two hours? 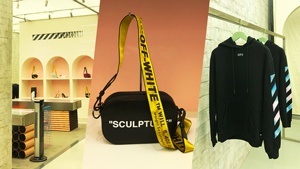 Farfetch.com has partnered with Gucci for a 90-minute “store-to-door” delivery policy when items are ordered through the Farfetch website or app. 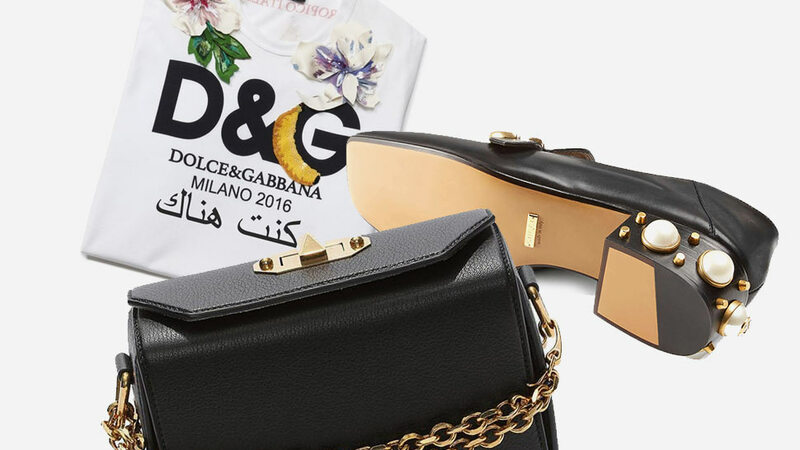 The service is currently available in London, New York, Dubai, Los Angeles, Madrid, Miami, Milan, Paris, Sao Paulo, and Tokyo, and orders are completed by the Gucci stores in these 10 locations. “Luxury takes time to produce and bring to market, but once it’s there, then it’s all about fast delivery,” says José Neves, founder, co-chairman and CEO of Farfetch. "I’m in love with all the trends this season, so it takes me forever to dress up! Can someone help me style myself daily?" A: If you need a little coaching on whether you should pick a tulle skirt with waterfall ruffles or a handkerchief-hemmed one, let Amazon’s Echo Look (around P9990, amazon.com) lend you a helping hand. Equipped with Amazon’s AI, called Alexa, the Echo Look is basically a desktop camera device that’s wirelessly linked to your phone and takes OOTDs through voice command. Other than collating a personal lookbook and taking 360-degree videos of your outfit, its Style Check feature can also help you select which outfit suits you better based on current trends and input constantly streamed into Alexa from Amazon’s in-house fashion specialists. "Hook a true-blue denim girl up. What’s the latest update to my ever trusty blue-jean jacket?" A: While the Levi's commuter jacket, in collaboration with Jacquard by Google, looks and feels like a normal denim trucker jacket (it’s completely washable, too), the fabric has woven-in conductive yarns wired to circuits not any bigger than a button. The smart jacket's main interface is its sleeve, where you can tap or swipe commands to the paired app on your phone. Wirelessly connected to your device via Bluetooth, all you need is a pair of earphones so the jacket can give you directions just like Waze, notify you about incoming calls or messages, and even change songs on your Spotify playlist! "Safe to say that if I’m not on Instagram, I’m editing my OOTDs—and my eyes are starting to hurt! How do I save my eyes without cutting the habit?" A: The blue light emitted by smartphones, computers and LED screens is still considered UV radiation! Prolonged exposure to it can cause macular degeneration and has been proven to disrupt your natural sleep cycle. Lucky for us, blue-light-canceling specs aren’t too hard find, and (1) Uniqlo (P790, SM Megamall), (2) Owndays (P5499, Glorietta 2), and (3) Sunnies Specs (P1990, SM Megamall) offer cute frames that match any outfit. "I’m off to a concert and I wanna stand out. What should I wear?" A: London-based wearable tech company Studio XO is currently developing a sound-sensitive clothing line that will light up according to the beats of your favorite DJ, band, or singer. Luminous fibers are incorporated into each garment and will glow to the music’s rhythm, as if dancing along with you. Glow on! *This article originally appeared in Preview July 2017 issue.